Janet Wilcox (ASC'78) launches new book: "Voiceovers: Techniques and Tactics for Success"
"Ever been told you have a great voice? Put it to use with a career as a voice-over actor! In Voice-Overs, a veteran voice-over actor, writer, producer, and voice-over teacher provides the inside scoop on the industry and gives all the tools needed for personal training. This one-of-a-kind resource includes a CD featuring vocal exercises and exclusive interviews with voice-over actors. A treasure trove of exercises, games, and improv and acting techniques helps readers build their skills. Sample scripts from real ads provide practice, and interviews with agents, casting directors, and producers provide insights that will help new voice-over actors get started and get hired. Tips on making a demo, auditioning, getting an agent, interpreting copy, developing a personal marketing plan, and much more mean that soon that great voice will be bringing in income as well as compliments." Scott Glosserman's (C'99) BEHIND THE MASK: The Rise Of Leslie Vernon opens in theater's tomorrow! Scott Glosserman's (C'99, Friars) BEHIND THE MASK: The Rise Of Leslie Vernon opens in theaters tomorrow. From IMDB: "The next great psycho horror slasher has given a documentary crew exclusive access to his life as he plans his reign of terror over the sleepy town of Glen Echo, all the while deconstructing the conventions and archetypes of the horror genre for them." Being a fan of horror films, I'm very excited to see this creatively innovative film! Good luck on opening weekend, Scott! James Scurlock's (Wharton) Maxed Out documentary debuts! James D. Scurlock's (Wharton), documentary, Maxed Out debuts across the country (in a limited theater release) to explain how the modern financial industry aggressively goes about its business, and why mounting debt is burdening more and more family budgets to the breaking point. Judging from the trailer, this documentary is definitely one to see! "Maxed Out takes viewers on a journey deep inside the American style of debt, where things seem fine as long as the minimum monthly payment arrives on time. With coverage that spans from small American towns all the way to the White House, the film shows how the modern financial industry really works, explains the true definition of "preferred customer" and tells us why the poor are getting poorer while the rich keep getting richer. Hilarious, shocking and incisive, Maxed Out paints a picture of a national nightmare which is all too real for most of us." Mark Cronin (Eng'86, Mask and Wig) has executive produced Charm School, the next Flavor of Love spin-off on VH1. The show debuts April 15, but the first episode will be online starting six days earlier. Featured in this month's gazette, here's a clip from from Marcin Ramocki's (GFA’98) film, 8 BIT. "8 BIT is a hybrid documentary examining the influence of video games on contemporary culture. 8 BIT insists that in the 21st century Game-Boy rock, machinima and game theory belong together and share a common root: the digital heritage of Generation X." Todd Lieberman (C'95, AEPi, Mask and Wig) will produce "The Surrogates" with fellow husband and wife Penn alumni Max Handelman (C'95, AEPi) and Elizabeth Banks (C'96). The film is about a futuristic world where humans live in isolation and interact vicariously, through surrogate robots. 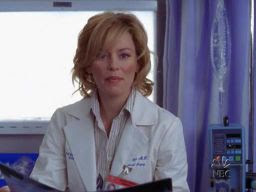 This just in during May sweeps, Elizabeth Banks (C'96) is back for 3 episodes on SCRUBS.